US Bureau of Transportation Statistics (BTS) reported that US airlines continue to recover from the recent recession and expand to recruit new employees. 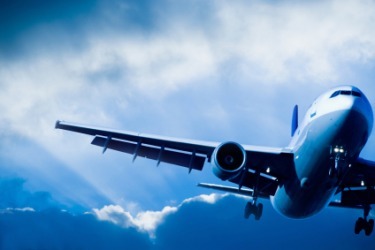 The United States Airline Industry employed 389,361 workers in November, up 2.6% from November 2010. BTS said this is the 12th consecutive increase in full-time equivalent employee levels for the scheduled passenger carriers from the same month of the previous year. BTS said Continental Airlines reported 14.7% more full-time employees, the largest increase among the network carriers. US Airways followed with a 3.5% increase. According to the report, low-cost carriers (LCCs) reported 5.9% increases in full-time employment over the year-ago month. Five LCCs—Virgin America (up 18.4%), Spirit Airlines (up 13.5%), Southwest Airlines (up 7.4%), JetBlue Airways (up 7.2%) and AirTran Airways (up 1.8%)—reported workforce increases. Frontier Airlines and Allegiant Air reported decreases of 6.3% and 3.2%, respectively. Regional carriers reported a 0.6% increase in full-time employment in November 2011 compared to the year-ago month. Among the 17 regional carriers, 11 reported increased employment levels. Shuttle America (up 21.3%) and GoJet (up 16.6%) reported the largest percentage increases.